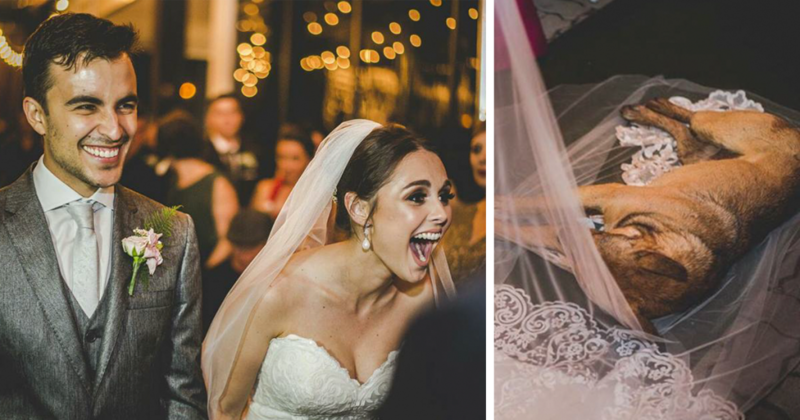 DoglopedixThe couple had the sweetest reaction to an unexpected guest. Wedding Crashers can often be an unwanted and obnoxious freeloader. But that was not the case when an unexpected guest appeared at the recent wedding of Marilia Pieroni and Mattheus Gomez Martins.